It takes a strong emotional hook to capture people’s hearts. And beat a workhorse package! 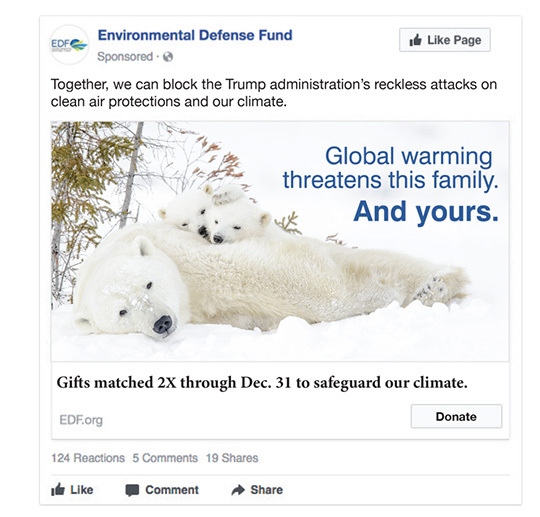 Despite extensive testing over the years, Environmental Defense Fund (EDF) was never able to beat their expensive polar bear note card control — until recently. 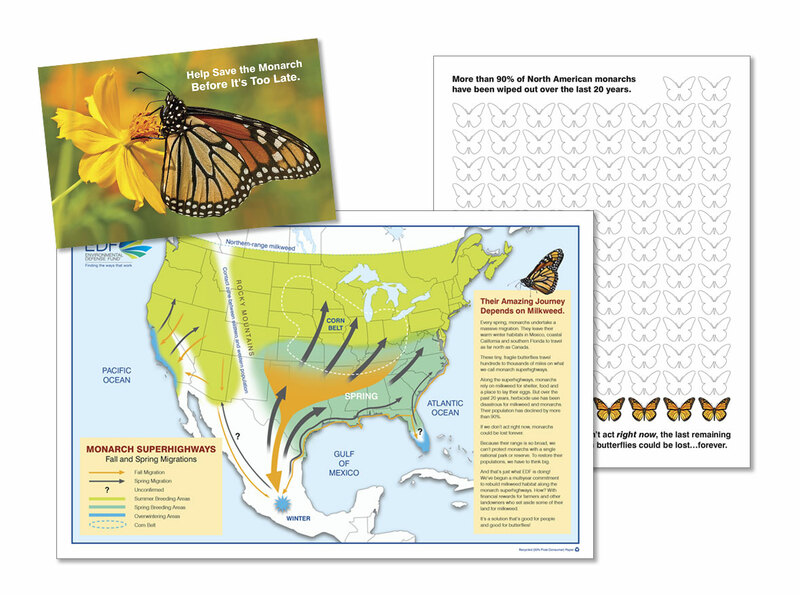 This new Adopt-an-Acre Monarch Butterfly package empowered potential donors to make a real and lasting difference for butterflies. The higher response rate and larger average gift demonstrate that the package strategy worked. 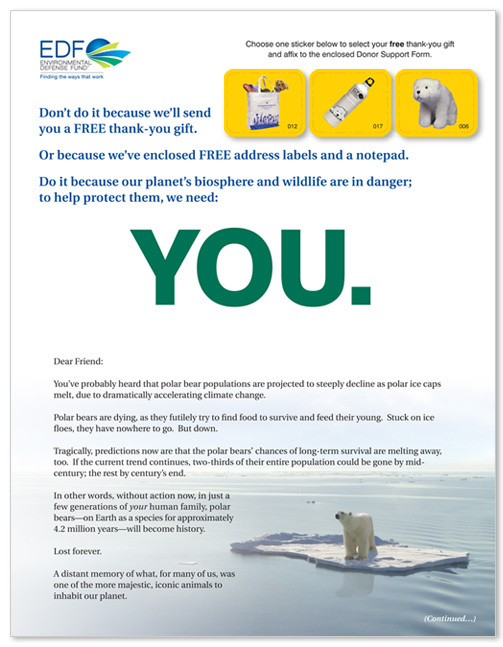 This package won the Direct Mail Fundraisers Association’s Award for Direct Mail Acquisition in 2018. 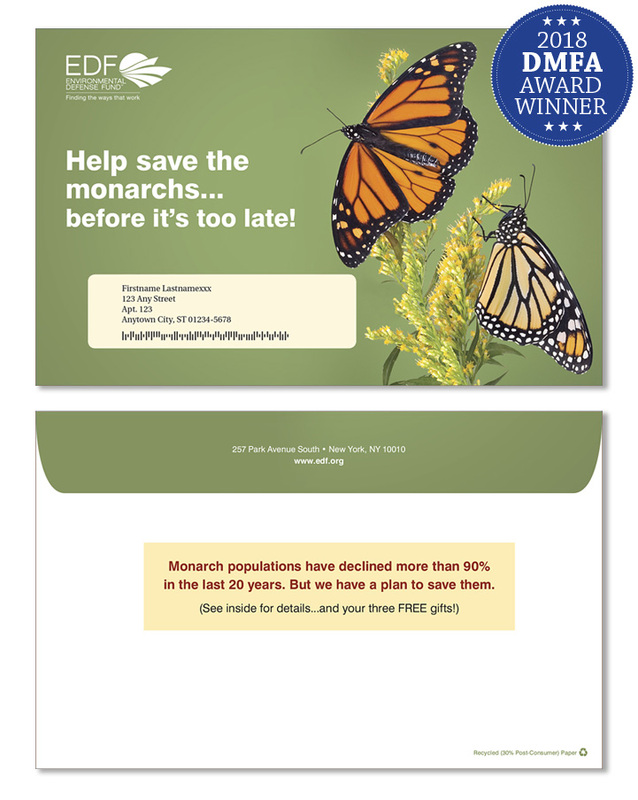 The prestigious DMFA Awards give DMFA members the opportunity to show off their best direct mail and email fundraising efforts. The DMFA’s members include some of the most talented and influential direct marketers in the industry. Every year, DMFA issues a series of highly sought-after awards to these high achievers. Details about the DMFA Awards and the complete list of this year’s winners are available here. What’s the emotion that motivates giving? 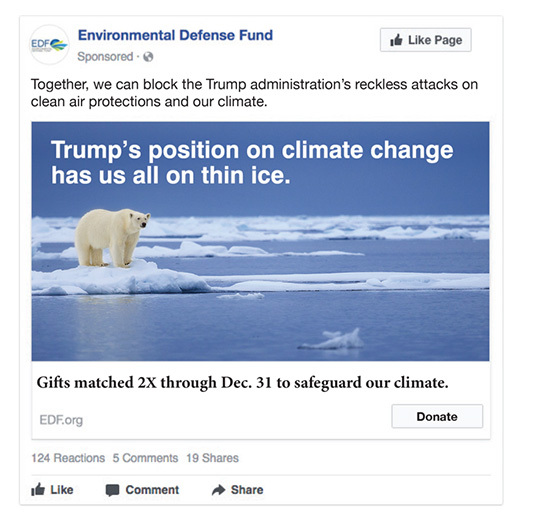 EDF used Facebook ads to quickly test the strength of different messaging strategies around climate change. 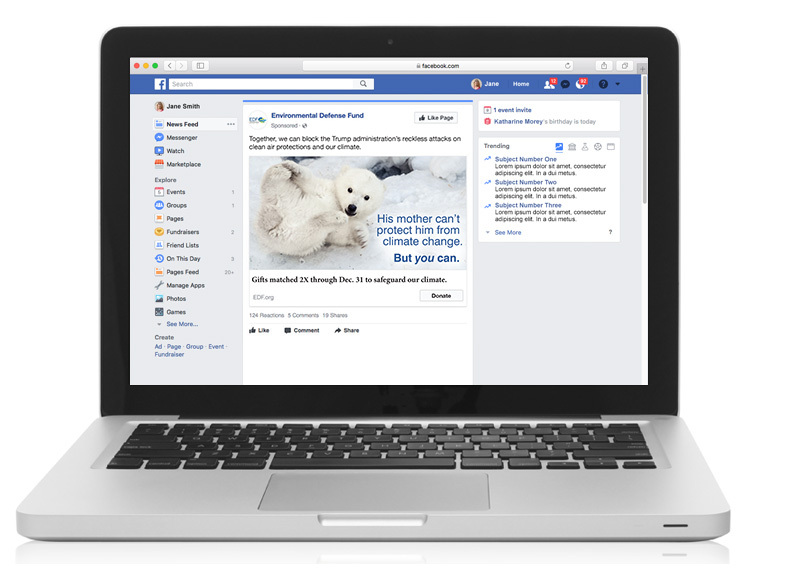 Ads evoked responses ranging from a strong emotional tug on the heartstrings to outright anger. 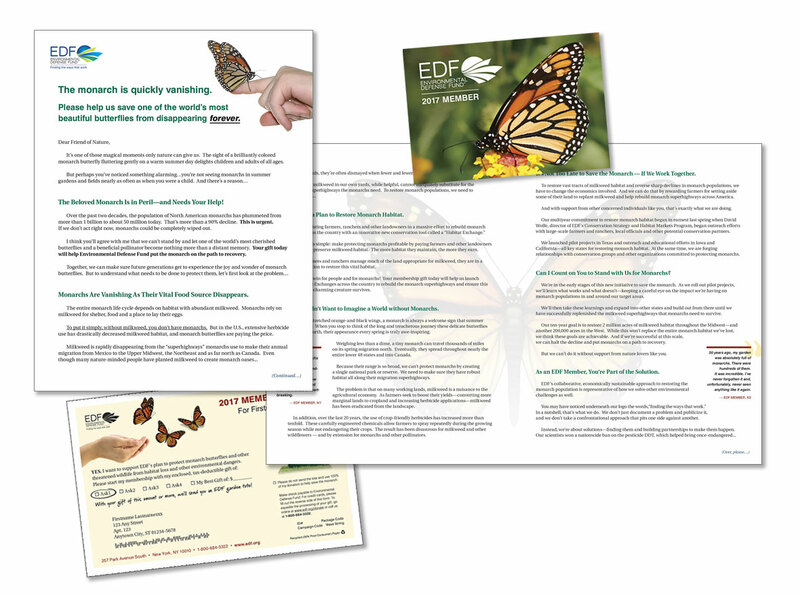 This approach was then adapted for an EDF direct mail package. 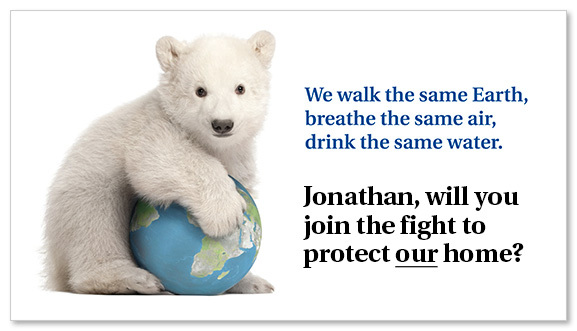 Much more than polar bears is at stake. 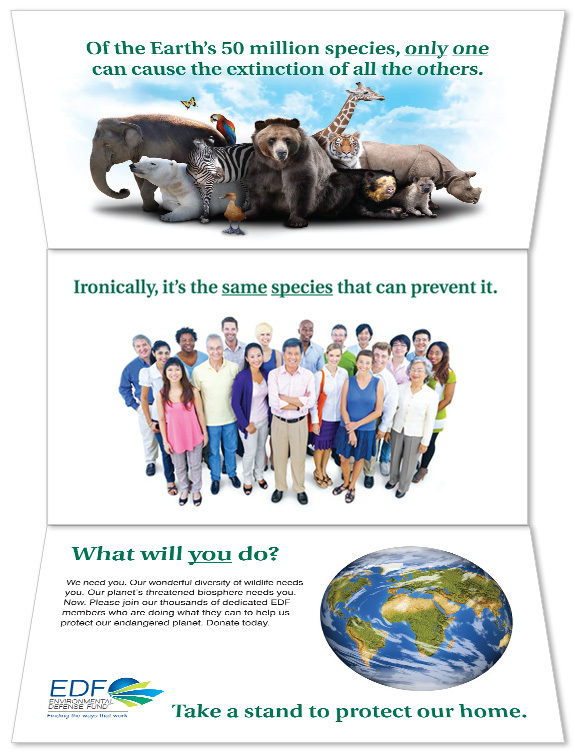 Environmental Defense Fund (EDF) is committed to saving not just polar bears but the entire planet. 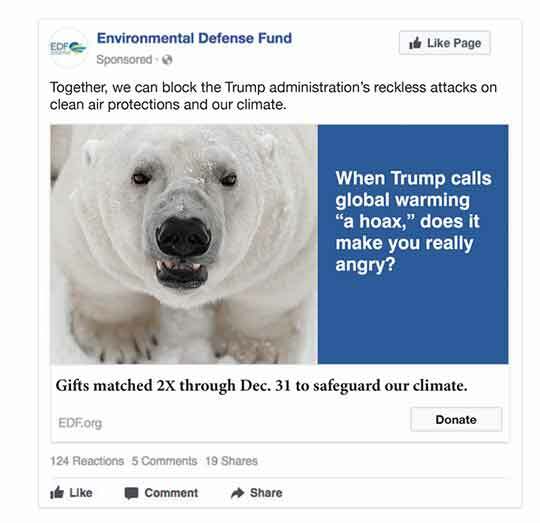 The problem is that whenever they tested a lead image other than a cute polar bear, it depressed their results. 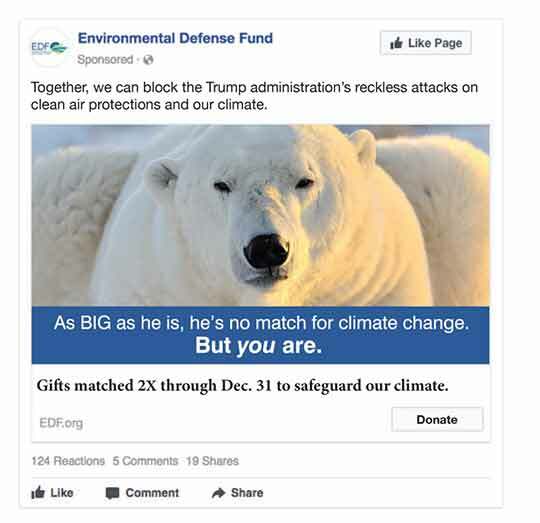 By connecting polar bears to the Earth’s 50 million other species — and showing how only the human species can prevent extinction of all the others, Sage used the best of both worlds to deliver an 84% lift in response over EDF’s previous poster package acquisition control. See the Membership Renewal creative that generated an index of 158.